Happy Birthday to our Dad Today. Although he’s no longer here to celebrate in person, he’s on our minds often and especially Today! In your honor Today, Dad, I’ll be enjoying a couple of your favorite chocolate chip cookies! 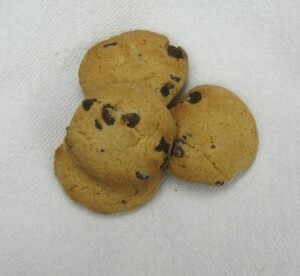 With five children in the house you can imagine how quickly a box of chocolate chip cookies can disappear. Every time I see a box of Freihofer Chocolate Chip cookies I smile and think of my Dad. He would “hide” his box of cookies in the same cupboard and even the dog knew the hiding spot. Our dog would be sound asleep in another room and would appear at my Dad’s feet waiting for her cookie as soon as he opened the cupboard! The rule was, we couldn’t have a cookie until the box was open. My Dad was a real joker and would sneak his hand in the side of the box without actually opening the box. The cookies would be half gone before we realized what was happening! Our Dad, Jay, was the third generation to manage Ketchum. I think he may have been happier working on a farm. He loved being outdoors and enjoyed tinkering around the barn and working with the horses. He was my Grandfather’s only son and as these things sometimes go, sons are steered toward the family business. Gary & I are lucky, we got to work with Dad for about 11 years before he became ill. We still feel his influence at Ketchum, customer service and our employees’ well being were important to him and I think that carries through with us Today. We strive to manufacture a quality product and maintain courteous customer relationships. Our employees are like family to us, most of them started working for my Father and some worked with my Grandfather. We sure do benefit from their knowledge and experience. So in honor of our Dad’s Birthday, enjoy a chocolate chip cookie! I know I’m going to. Wh ich pets are on a special diet, who’s having surgery in the morning, what medication is required? Keeping track of the special needs of your guests can be a challenge, especially when they can’t answer your questions. Busy veterinary offices and boarding facilities have many pets in and out every day with several staff members caring for them. While having a chart or file on each pet is necessary for recording their care, a quick reference on the cage can be helpful. The bright colors and durable nylon make our #421 cattle neck tags the perfect kennel tag. The nylon tags measure 3-1/2″ x 2-1/4″ with a 1″ hole and are available in Red, Green, Blue, Orange, Yellow, Pink, Purple, Black and White. 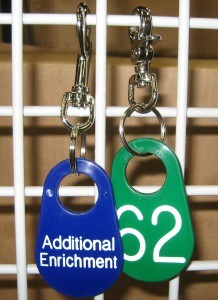 The tags are available with 1-3/8″ numbers if you just need to identify each cage or run. To quickly clip the tags to the kennel, we recommend our Bolt Snap or Trigger Snaphooks. Either hook is attached to the tag with an 1-1/8″ key ring. The durability of the nylon makes these tags the perfect reusable marking system. The 421 neck tag was originally developed for use on dairy cows. 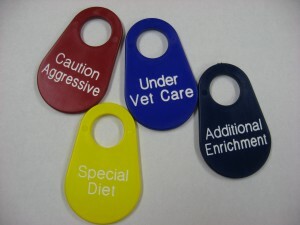 The tags withstand heat and cold, and do not chip or break when banged around and can be disinfected right along with the rest of the kennel. Please contact us at sales@ketchummfg.com with your tagging requirements, we’ll be happy to work with you to get the best marking solution. 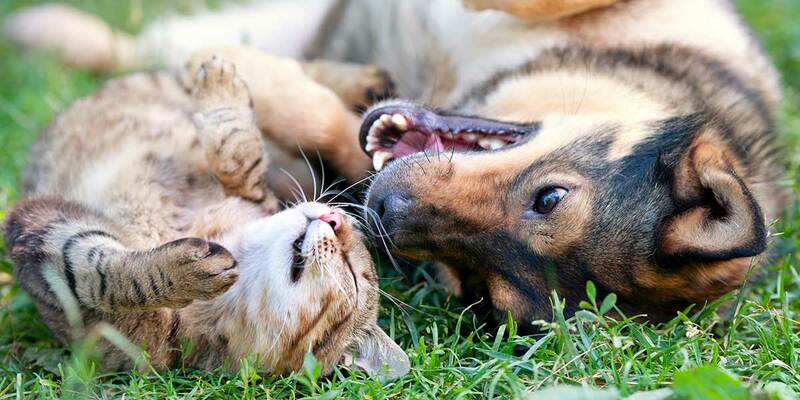 February is pet dental health month. Just like people dogs and cats can develop plaque and tartar on their teeth that can lead to gum disease, loose teeth and in some cases heart disease. OK, that’s enough to make me take notice and learn more about taking care of my pets’ teeth. I’ve read several very informative articles, one at WebMD, and another at www.peteducation.com . These articles explain how the plaque turns to tartar and the build up of tartar causes gum irritation that can lead to serious health problems. While inspecting your pet’s mouth, some signs that there maybe be problems are bad breath, more than the usual dog breath, discolored or loose teeth and bleeding or swollen gums. Lose of appetite may also be caused by problems with the teeth or gums. I thought I was doing enough to prevent dental problems for my dogs. They always have crunchy kibbles for their meals. 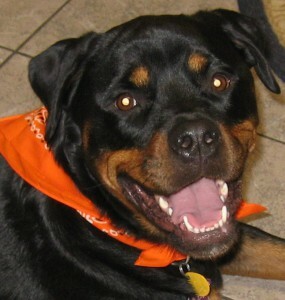 I give them chew toys and they get treats, such as DentaStiks and Greenies, products that help remove plaque. 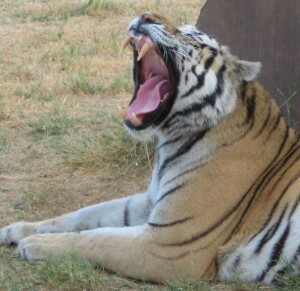 At their yearly check up, our veterinarian looks at their teeth and gums to be sure they are healthy. One of my dogs has had a dental cleaning. The animals are put under anesthesia and the tartar is scraped from their teeth in the same manner as the dentist does to human teeth. After the teeth are tartar free they get a nice polish, for a sparkly white smile. I have decided I’m going to learn how to brush the dogs teeth and make it part of our daily routine. Patience and short, positive sessions seem to be the best advice. I took the first step Today, I pulled their lips back and touched their canine teeth, great success and no wrestling required. I need to get some doggie tooth paste, as human tooth paste is irritating to canine stomachs. I’ll also need a dog tooth brush or finger tooth brush or I could try a piece of gauze wrapped around my finger. I’m leaning toward the tooth brush, it seems much less messy to me. I’ll try to get some action photos, I’m sure our first few sessions will be ve ry entertaining! As far as the cats’ teeth go, I’m leaving that to the professionals, there is no way I’m even going to try sticking my fingers in their mouths! The new lambs and kids will be arriving soon! Of course, the ewes knew which little bundle of cuteness belongs to them, but do you? As children, one of our favorite Dr. Seuss books was “Are You My Mother?” A baby bird hatches while the mother bird is away from the nest and spends the rest of the book running around asking various animals, “are you my mother?” Our Mom always used different voices for each of the characters, probably why we liked ths story so much! 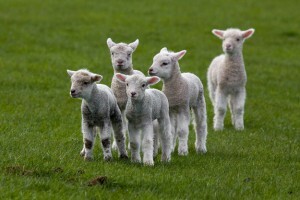 Today I’m picturing a flock of lambs all baa-ing for their Mama! At Ketchum, we manufacture several small metal ear tags that are perfect for little ears. The #314 Tambra https://www.ketchummfg.com/c32/c117/Tambra-Ear-Wing-Tags-Brass-Numbered-p437.html, is a small brass tag, measuring 3/4″ long by 3/16″ wide with a tamper proof locking button. The tags are sequentially numbered on one side and can be personalize with up to six characters on the other side. 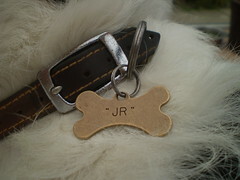 These same tags are also available in aluminum. Our #312 Kemco https://www.ketchummfg.com/c32/Kemco-Aluminum-Ear-Tags-c116.html , is slightly larger, made from aluminum and measures 1-1/4″ long by 1/4″ wide. The Kemco can be personalized with up to nine characters in one or two lines. If you prefer to tattoo the ears as a means of identification we carry a full line of tattoo equipment https://www.ketchummfg.com/Tattoo-Equipment-Animal-c120.html, including pliers, digits, inks and pastes. 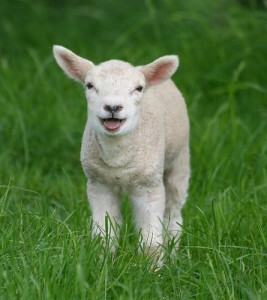 Order your ear tags Today at https://www.ketchummfg.com/ so you’ll be ready to identify which lamb belongs to which ewe as soon as they’re born. Now that we’ve all made our New Year’s Resolutions, how are we going to keep them? Let’s get our pets involved! I saw a little clip on television that suggested ways to get your pets to help you keep your resolutions. Like most people, I want to become more physically fit by exercising more and eating healthy. Also the doctor seems to think my cholesterol number is too high, I suggested it was from Thanksgiving Dinner, he’s not buying it. My dogs love to go for walks. All I need to say in front of the dogs is the word “walk” and I have their full attention. They go crazy, tails wagging, running back and forth to the door with some howling thrown in the mix! Their energy and excitement makes going for a walk enjoyable. We all get the benefit of exercise and fresh air. The dogs may also be helpful when it comes to eating healthy. They like to hang around the kitchen while I’m cooking. After I’ve finished cutting up carrots or apples I always give them a couple of pieces. Of course they can’t have chocolate and I don’t like to give them baked goods, I don’t want them to get overweight, it’s not good for them. Hey, it’s not good for me either! If I won’t give it to the dogs, I shouldn’t be eating it myself. Getting organized is another one of my usual resolutions. I’m not sure enlisting the pets to help with this one will work out as well. One of our cats tries to keep the counter and table clutter free. I’m not fond of his methods as he throws everything on the floor. New Years Day he sent a bottle of black glitter nail polish crashing on to the tile floor. Yes, of course it broke and traveled across the tile. I was able to get the black polish off the floor, however, we still have some glitter in the grout. My daughter says not to worry about that, after all princesses live here! I’m hoping my pets will help me stay on track. What tips do you have for keeping our New Year’s Resolutions? 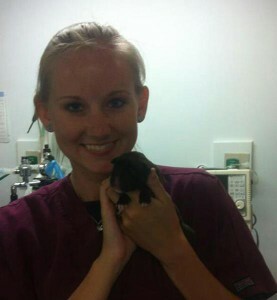 My daughter, Kate, works at an Emergency Veterinary Clinic. The Clinic is open when the regular veterinary offices are closed, overnight, weekends and holidays. Most of the pets that come into the clinic are severely injured or seriously ill.
On this particular Saturday, a boxer had 5 puppies at home, had been laboring for a couple of hours and not making any progress, so her owners brought her and the puppies to the Emergency Clinic. The Veterinarian took an x-ray and could see two puppies stuck, one in each uterine horn. 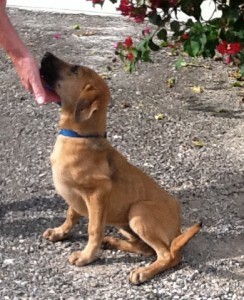 The staff members were not hopeful, usually puppies that have been stuck for a number of hours do not survive. The Veterinarian started a cesarean section and pulled out, one, two and surprise three puppies. Each puppy was handed to one of the staff members. The puppies were rubbed and suctioned to stimulate their breathing. Kate spent minutes rubbing and suctioning the puppy she was handed and rubbing some more and finally the puppy took a breath! Happily the three puppies delivered by C-section all survived and after making sure they were latching on and nursing they were able to go home with their brothers, sisters, and lucky momma! As you can see from the smile on Kate’s face – it was an awesome night at work! Most of us know the month of October for being Breast Cancer Awareness Month – and how could we miss it, really, with all of the outpouring of pink everywhere you turn throughout the whole month? The support for the cause is just astonishing – so many millions of people take part in this monthly activity to raise awareness about the disease that kills so many women. But did you know that October is also National Adopt A Shelter Dog Month? That’s right, the entire month of October is also dedicated to raising awareness about adopting pets rather than purchasing them. And if you’ve never adopted before, here are 5 reasons why you should consider participating in this wonderful one-month celebration! When you walk into an animal shelter, you don’t know what each and every animal has been through until you ask a shelter worker, and many times, the story may surprise you. Animals end up in shelters for a number of different reasons – whether they were abused by previous owners, found abandoned in the woods or on the street or just could not be taken care of properly by their previous owners. Whatever their reason for landing in a shelter, each one of them deserves a second chance in life, and you could be the one to give them exactly that by adopting them! Plus, when you adopt one shelter pet, you’ll be saving two animals – the one that you adopt, and the one who you freed up a spot in the shelter for who needs to find a loving home, too. Whatever fee you may have to pay to adopt your new furry friend, you’ll know that your money isn’t just helping you rescue your new best friend, but it’s also going directly back into helping the shelter, too. Animal shelters are often busy and overcrowded and don’t have the money or resources to tend to each animal the way they need to be tended to. This is how so many shelter pets end up with the unfortunate fate of being euthanized – the shelter either runs out of space or runs out of resources. With a donation to the shelter at the time you adopt your new pet, you’ll know that the money is being used to help save other animals who need someone to give them their second chance. The great thing about animal shelters is that they care so much for the animals that come to them. Most animals are immediately given a medical evaluation at the time of their arrival to the shelter and are then cared for properly until their adoption. Most pets that you adopt from a shelter will already be vaccinated, and should they require any special medications, they will likely be bundled in when you adopt, too. Plus, most are already spayed or neutered, which is one less cost you’ll have to worry about with your new pet. 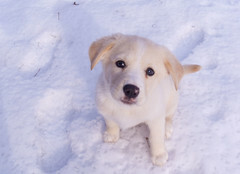 Many shelters even go to the extent of listing the animal’s behavioral traits and making sure the potential step-parents know what to expect with the animal. This way, future owners will know exactly what they are getting into and if the particular pet they are hoping to adopt will really fit into their family. Although some puppies do end up in animal shelters and up for adoption, it’s more likely that you’ll find a more mature dog in a shelter than a baby one. But that’s OK, because the older the adopted pet is, the less house breaking effort you’ll need to put in! Older dogs are often more calm and better trained than puppies, which can be a welcome change from a puppy for the right family. Plus, shelters offer a much more varied selection when it comes to available pets than any pet store would. 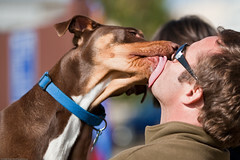 You’ll find all sizes, shapes and breeds of dogs, and usually at about all ages. But remember – the older the pet you adopt, the more mature they will be! Shelter pets are surprisingly grateful when you take them away from the shelter and give them a warm and loving “forever” home. It’s almost like an animal instinct that they know they have been rescued and that they should be eternally grateful – they’ll shower you with kisses and affection like you’ve never seen in an animal before! 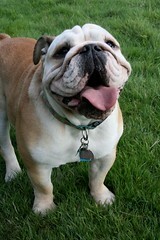 Owning a pet can be a truly rewarding experience that will benefit both you and your new pet. Make sure that as soon as you adopt, you apply the proper pet ID tags to your animal so you never lose them once you’ve already rescued them – you can check out Ketchum’s full line of cat tags and dog tags for the best quality products. 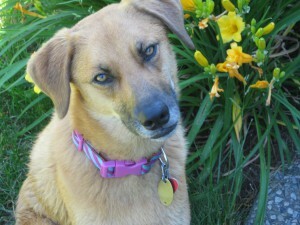 Celebrate Adopt A Shelter Dog Month and save a life!